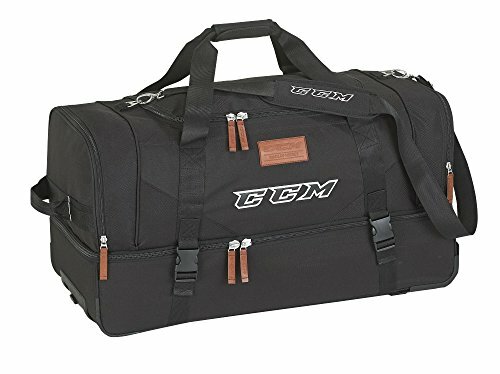 Designed for convenient, efficient transport, the CCM Officials Wheel Bag offers durability, organization and simplicity. 600D ripstop polyester is a lightweight, durable material thats strong enough to keep your bag up and running for a long time. A retractable handle and 2 all-terrain wheels make it easy to roll, and simple to store. A large pocket with removable divider creates organized storage no more digging to the bottom of the bag to find a stray elbow pad!